Abhijit refers to “winner” and Muhurat means “time”. Time is having a great significance in Sanatan Dharma and it is believed that success is assured if work is done at the right time. Generally, to find an auspicious Muhurat: day, date, Nakshatra (constellation), Yoga (conjunction), and day-duration are analysed; on the basis of which success can be ensured. But, these calculations are a bit difficult and can only be done by a Panchang expert. In such a situation, Abhijit Muhurat is the best for common people who don’t know much about Panchang. Abhijit Muhurta is an auspicious time period that occurs everyday and in which any auspicious task can be performed. 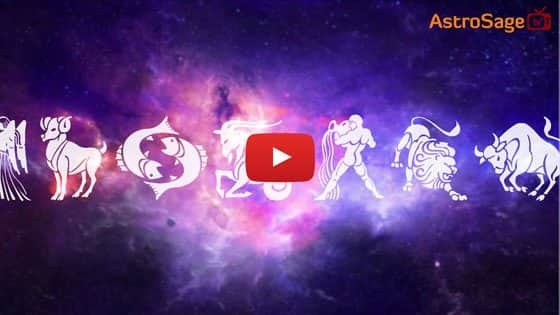 Here, one thing that needs to be mentioned is that Abhijeet Muhurat and Abhijeet Nakshatra (constellation) has no direct relation with each other. But, if Abhijit Muhurat and Abhijit Nakshatra falls together, it is considered extremely auspicious. As per the Hindu beliefs, the entire day (i.e. from one sunrise to next day’s sunrise) is divided into 30 Muhurats. It includes 15 Muhurats from sunrise to sunset and another 15 from sunset to sunrise. In these 30 Muhurats, some Muhurats are authorised for doing auspicious tasks, but some are not. Abhijit Muhurat is considered most auspicious and fruitful among all the Muhurats. Each day, Abhijit Muhurat starts 24 minutes before the noon and ends 24 minutes after the noon, approximately. Hence, if Sun has risen at 06:00 a.m., Abhijit Muhurat will start exactly 24 minutes before 12:00 p.m. i.e. 11:36 a.m. and end at 12:24 p.m. Here, a noticeable thing about Abhijit Muhurat is that its time keeps on changing on the basis of sunrise. Abhijit Muhurat is eligible for almost all auspicious tasks like traveling for the first time regarding work, starting a new work, starting a new business or shop, repaying debts, investing money, or performing any Puja etc. Some scholars give importance to this time for performing house-warming ceremony, head shaving ceremony, marriage, etc. On the other hand, some scholars believe that this time is good for general auspicious tasks; however, major important events like house warming ceremony, marriage, etc. should be performed after considering other Muhurats and planetary conjunctions too. Traveling in South direction is prohibited in Abhijit Muhurat. Additionally, no auspicious task should be performed during the Abhijeet Muhurat of Wednesday.